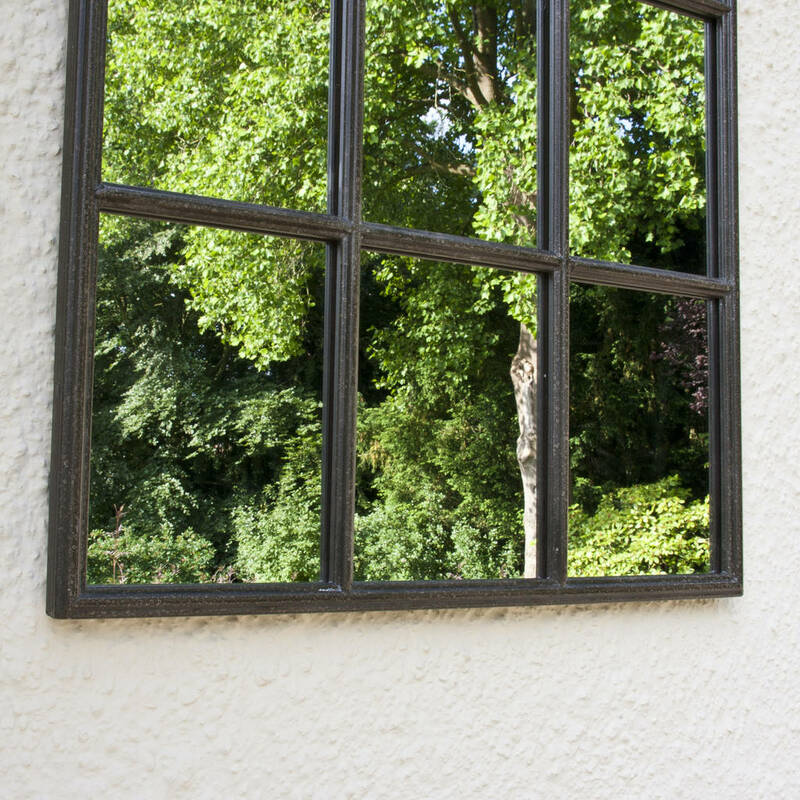 The frame has an aged look and features 12 individual panes, to create the effect of a rectangular window. 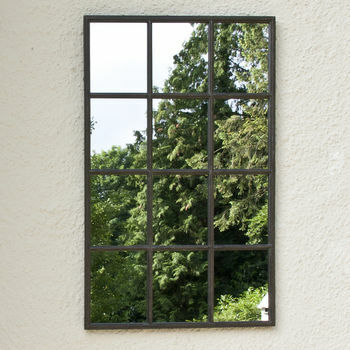 This large garden mirror would work well both in a traditional or more minimalist garden to create a garden illusion. 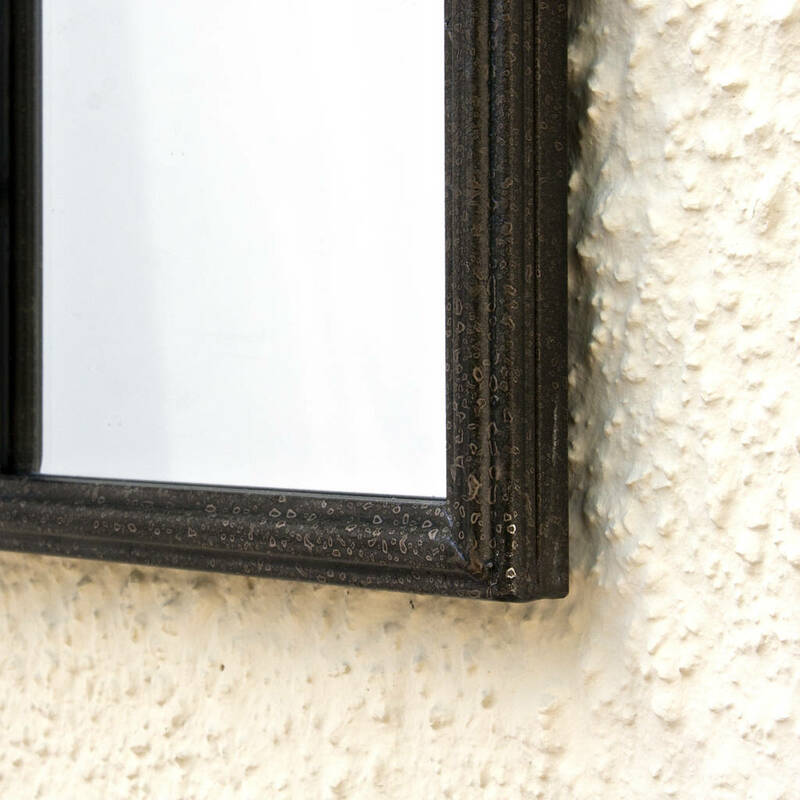 This classic garden mirror has a moisture-proof backing to stand up to any weather. However, you could equally well hang the mirror in a bathroom, or hallway to create extra light and space. For a similar, smaller rectangular Garden Mirror see the Shamrock NB: This mirror can only be hung portrait only. Hanging Fixings: Fixed by two metal lugs to ensure a flush wall mounting. 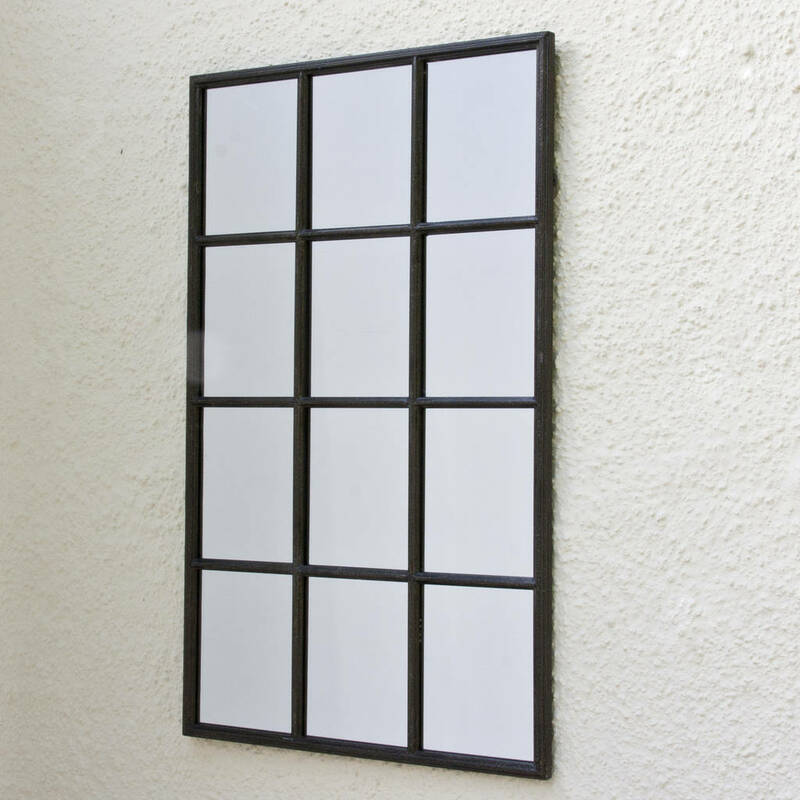 This product is dispatched to you by Decorative Mirrors Online.